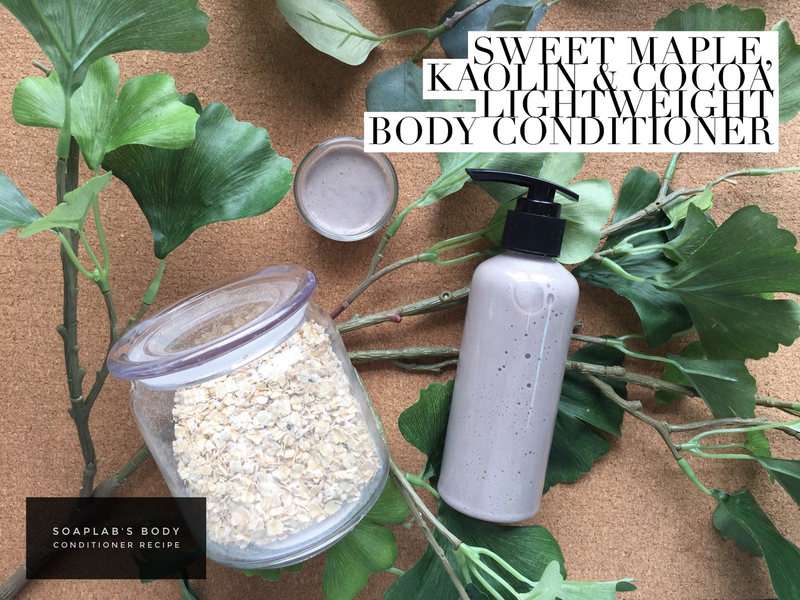 Hi guys, today we wanted to make something that we know you would want to eat , but please don't.. Our recipe is a lightweight body conditioner made from clay, maple honey oat fragrance and cocoa butter. This formula is perfect for those with extremely oily skin as it will moisturise without making your feel too sticky. Are you thinking of dessert already? For this conditioner, we use kaolin clay to deep cleanse into your pores as the cocoa butter moisturises and the polyphenols help skin fight aging. Bonus point in this recipe: cocoa butter smells like chocolate ! After your shower, just spread over your skin and rinse after 5 minutes. You'll be thanking us later.